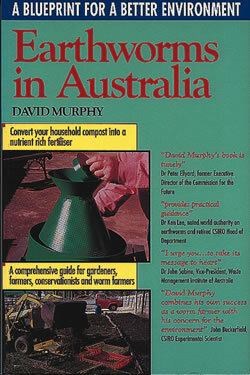 Reprinted 6 times, and with more than 30,000 copies in print, this is Australia’s most popular guide to worm farming by far. Convert your household compost heap into a constant supply of nutrient-rich vermicast for your garden, and minimise the need for manufactured fertilisers and deep ploughing. Drawing on information from the world’s leading agricultural research centers (including the CSIRO), Earthworms in Australia is a comprehensive and easily understood guide.